Isn’t it an amazing feeling after having a full night of glorious sleep? You have the energy to take on the day. That restorative feeling is just one of the many benefits an uninterrupted sleep. As parents, we are told to kiss goodbye to this type of quality sleep. 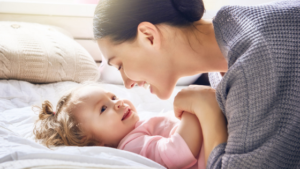 We are told that having kids means restless nights and many families do experience waking up several times to meet the demands of their little one. Have you ever awakened to find your little one just standing quietly next to your bed? That startling moment that makes your blood pump and you become fully awake. Now, imagine rolling over in the morning after having a night that wasn’t interrupted from worry, a fidgeting partner or a small toddler pattering into your room. Adequate sleep doesn’t have to be a once in a while occurrence. It is possible for quality sleep to be the norm. 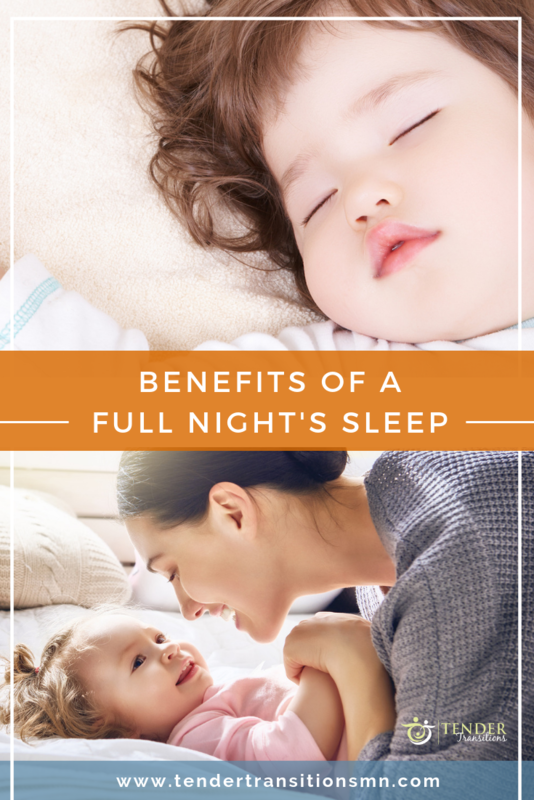 There are so many benefits of having well-rested sleep, not only for ourselves as parents but for our children as well. Below are three key benefits of sleep. Do you find that after a poor sleep, it’s hard to focus on even small amounts of information? Focusing and absorbing this information is only one part of the process of learning and memory. The other two components are consolidation and recall. In other words, in order to learn and know something, you need to receive the info, store it and then be able to re-access it. So where does sleep fit in with this process? Acquisition and recall really only occur while you’re awake, but consolidation takes place while you are sleeping. According to research, sleep strengthens the neural connections that form our memories. Adequate sleep each day is very important for this consolidation to happen. So, if you are running low on sleep, you won’t be able to properly store information in your brain and when you try to recall that piece of information you will find yourself drawing a blank. Just like when your kid’s eyes seem to glaze over when you ask where they put their shoes last. 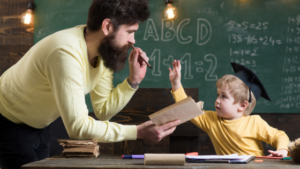 The first 18-20 years of their lives, your children are learning continually whether from you or their teachers. 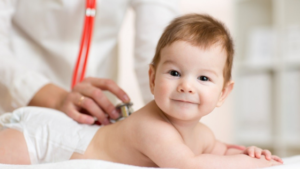 This just reaffirms that healthy sleep schedules are extremely important in the early years. One of the main reasons that we want to prevent overtiredness in our children is because it often means that they become short-tempered and irritable. A study from the University of Pennsylvania showed that subjects who experienced even partial sleep deprivation reported feelings of stress, anger, sadness, and mental exhaustion. As parents, we probably didn’t need this study to confirm these findings. So, why does running on little sleep have this effect? Researchers suggest that lack of sleep stimulates a small part of the brains that is responsible for various feelings including anger and fear. These stimulated feelings result in a stressed out little one. So, when they are tired, their coping mechanism to situations like their block tower falling over is frustration and an over-the-top emotional response. Do you remember that time your child just couldn’t calm down? Often it comes with the epiphany: “wow, he/she sure is tired”! Not only do we generally feel better after a good night’s sleep, but it has long-term health benefits as well. Studies show that having 7-9 hours of regular sleep for an adult lowers the rates of obesity, high blood pressure, stroke, infections, depression, diabetes, inflammation, hypertension, heart disease, heart attacks, heart failure and more! The health benefits of sleep are impossible to ignore. We don’t fully understand everything about sleep, but we know that it is essential to a healthy lifestyle for ourselves and even more so for our children. Babies’ bodies are doing miraculous things while they sleep. They are responding to growth hormones, boosting their immune system and solidifying all the new things that they are learning. I can’t stress this enough, your child needs sleep. And it is possible for them to sleep through the night on their own so that you and your child get the sleep you need. 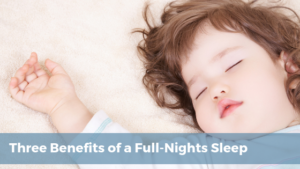 Sleep doesn’t have to be a luxury when you are a parent. If your baby is waking up 7 to 8 times and night and you have to soothe them back to sleep, this isn’t quality sleep for you or your child. It is fixable. If you are struggling with creating a solid sleep pattern for your family, we would love to chat and see how we can help. In case you would like to read more about the benefits of sleep for children, I have included a couple of journal articles below.